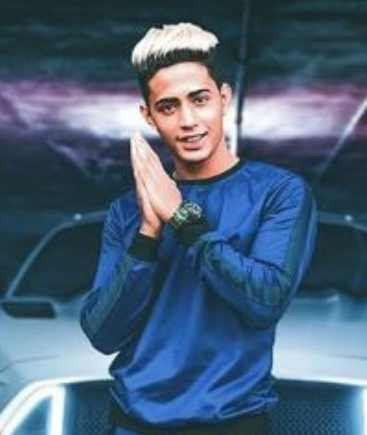 Danish Zehen is a very popular lifestyle Vlogger, Rapper, and YouTuber who died on 20th December 2018 due to car accident happened on Vashi Highway in Mumbai. He was a contestant of MTV’s reality television show ‘Ace of Space Season 1’. People who followed him on Instagram, YouTube. He was popular for his hairstyle and look, he inspired many people by his unique hairstyle. furthermore, he was model too. An Indian Youtuber and Lifestyle blogger and Instagram Celebrity. According to an official report, his accident took place on an early morning after returning from the wedding. According to the eyewitness, the car accident was dramatic and it took place so fast that they could not do anything. After that, they immediately take him into a hospital where he died. At the moment he did not among us but his memories make us he was alive. Danish Zehen is 22 years old boy born and raised in Kurla, Maharashtra, India to Muslim family. Since his childhood, Danish always had a dream to work in the Entertainment industry. He was very good at Dancing, Singing. Initially, he started his own YouTube channel where he usually published the video of hairstyle, rapping, and physical fitness videos. He was students of Kedarnath Vidya Prasarini’s English High School located in Kurla East, Mumbai. During his schooling, he usually participated in school events as a rapper and hip-hop dancer. Later he graduated from the University of Mumbai. In 2012, He started his Digital Career as a rapper by uploading his rap songs on his YouTube channel. 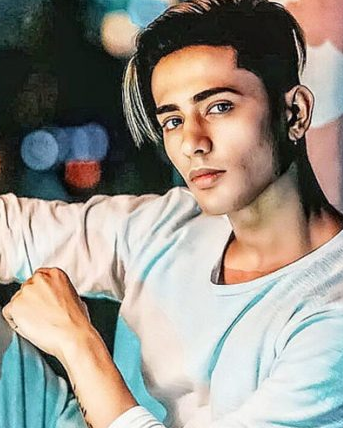 Today Danish has around 423,862 subscribers on his YouTube channel and 1.4 million followers on Instagram. With this assets, He has become the digital brand ambassador of Gillette. Later in 2018, he appears MTV show 'Age of Space season 1' where he got more popularity. So far, he has not won any awards in his career to date. Being a famous social media star, he earns a decent amount of money from his profession. His estimated salary of 2018 is Rs. 1,00,000 per month. However, his net worth is not revealed yet. Danish was well-known for his hairstyle and people are appreciating on social media for his hairstyle. You won’t believe that Danish was changing his hair color almost once in a month. However, he was not a hairstylist but Fitness Guru who was usually sharing Fitness tips to his followers. On social media, people are often called him “Coolest Bad Boi” as a nickname. He was calling his fans as #Fambruh. Moving towards his body measurements, he has a pair of brown eyes and dark brown hair. He stands 5 feet and 9 inches (175 cm) tall. Moreover, he weighs 70 kg (154 lbs.). His stunning physique and body build make her measure at 37-29-36 (inches) for her bust, waist and hips size respectively. His Bicep size is 13 in. and dress size is L. Similarly, his shoe size is 9 (US), 42 (EU). Danish was died due to the unexpected tragic car an accident which was happened on Vashi Highway in Mumbai on 20th December 2018. He was returning from his friend’s wedding and somehow he lost his control over the car and he met a very deadly accident. People who were present at accident site called the ambulance immediately and admitted him to Mumbai’s Fortis Hospital. However, Danish took his last breath at the hospital and he could not fight against several injuries.